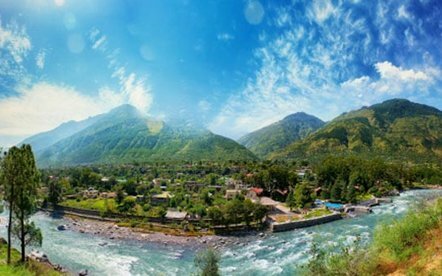 Chamba Hill station established on the banks of blessed Ravi River, the dipping Sun leaves the tints of orange-yellow in sky which mirrors in the river as well. The spirits feel as high as it could get immersed in deep thoughts inspired by the stony and sandy riverside. The river flowing incessantly towards its final destination and meanwhile supporting life of Chail; the lure of Himachal Pradesh is a strong pull, taking city residents out of their work and crowd to the ease in which Himalayas has looked after humans since dawn of civilization. Marked by the popular festivals, fairs, palaces, and beautiful natural settings, the town has flourished on the banks of River Ravi where it confluences with River Sal. All the history and culture of this place is represented in the artistic form of music, dance and craft, especially Pahari paintings. 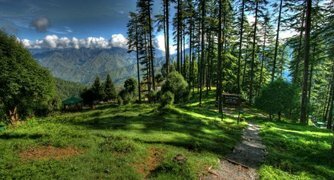 To feel the vibrancy of Chamba tourism, making acquaintance with place is the primary need. Named after daughter Champawati of King Raja Sahil Varman, the place was under British suzerainty until it merged with India in 1948. Being a Himalaya-protected land bounded by Zanskar range and Dhauladhar range, Chamba remained free from invasion of Mughals and Sikhs for a long period. Finally, it came under the British protection. Starting the journey with mortal souls bowing to the grace of the Divine, sightseeing also takes for a walk with Nature to explore this part of Himalayas. Catching all these elements of this place by surprise through the lenses is exhilarating just as much they are mind boggling. Chamba travel includes following place to do all the above and more. 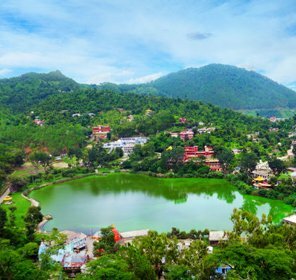 A cluster of around 84 temples, this site can take whole day depending on the kind of devout a tourist,Other popular places of worship are Vajreshwari Temple, Sui Mata Temple, Church of Scotland, Chatrari, Hari Har Temple and few others. Near Bharmour, this sanctuary occupies a huge area where population of Ibex, Pheasants, etc enjoy undisturbed stay. Venerating Goddess Kali in nearby temple is easier with the holy water from Lake Ghadhasaru than without it because of the feelings this ideal location imbues in people. A feat for wildlife lovers, this sanctuary together with nearby Tundah couldn't be enjoyed in merely a day. This one is located in Bhandal Valley in Chamba district, must for extended trip. 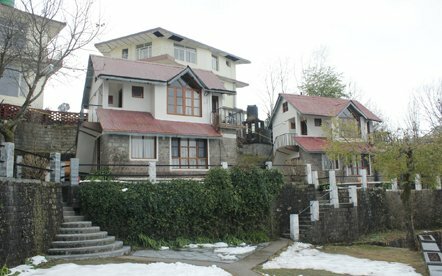 This hill station when combined with other nearby hill seductions enhances the quality of vacation dramatically. For those who wanted to know about them. 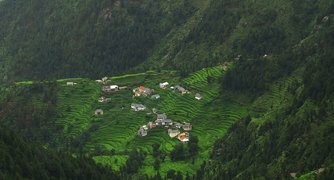 A small village on the bank of River Sal, Saho is at a distance of 20 Km from Chamba. Visiting to worship Lord Shiva as Lord Chandra Shekhara in Saho seems like falling in schedule naturally. 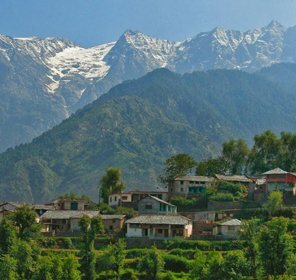 For the alpine sceneries to overwhelm, this small hill town provides the best settings, only 27 Km away from Chamba. 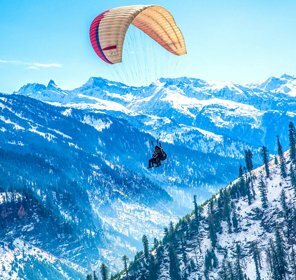 Touring Chamba can begin only with a safe and comfortable accommodation, where it is easy to feel relaxed followed by other emotional states like excited, overjoyed, refreshed, and last but not the least, cozy. For all these emotions and expectations, numerous options are available. Choices depend upon number of people in a group travelling together as well as on the requirement and budget. 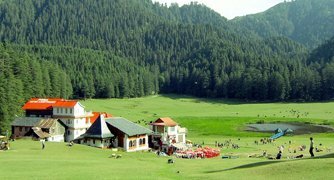 One can decide to take either hotel in Chamba or the places nearby if the demand of season shoots suddenly. Some of these fall in budget and others in deluxe categories. Booking before starting the holidays is necessary to ensure a level of comfort in the destination of rejuvenating break. Otherwise, things can get pretty hectic as well as unexpected. 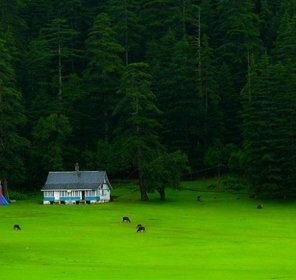 Time from March to October is considered to be the best time in order to enjoy this hill station without having to fear about chill. Those who love Monsoons would see another aspect of this season. They might not always be mushy due to the inconvenience they cause in such regions. 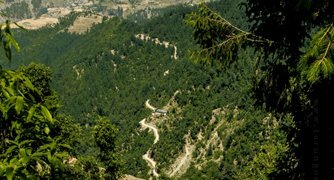 The nearest airport is Gaggal in Kangra which is still 125 Km away from the Chamba, which necessitates a taxi ride to the place. For those choosing to travel by train, they have to deboard at Pathankot which is 118 Km away from Chamba. Rest of distance has to be covered by road in taxi or bus. Taking a car to Chamba might seem to be an obvious choice to some enthusiasts who like the holidays on roads. Being well connected to cities like Delhi, Khajjiar, Dalhousie, Chandigarh, etc, a road trip can be a journey of lifetime.